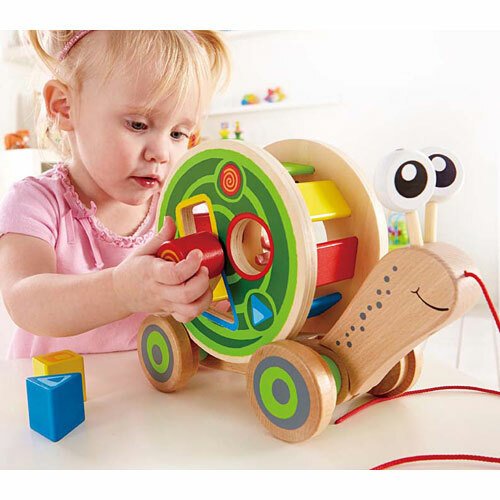 Hape's Walk-A-Long Snail is the perfect companion for little ones just getting into sorting shapes and learning about colors! 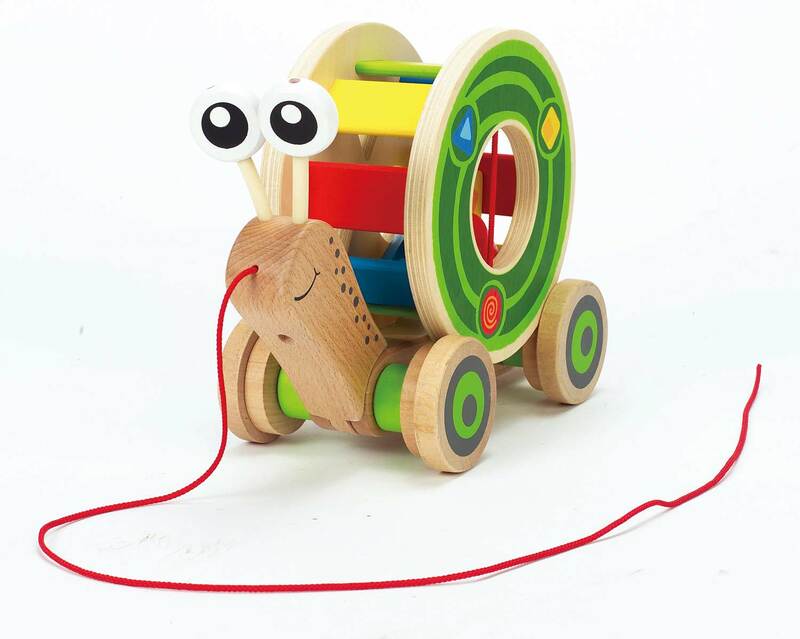 The Walk-A-Long Snail is a googly-eyed snail with a block-holding shell which spins on the snail's back when your little one pulls it along. 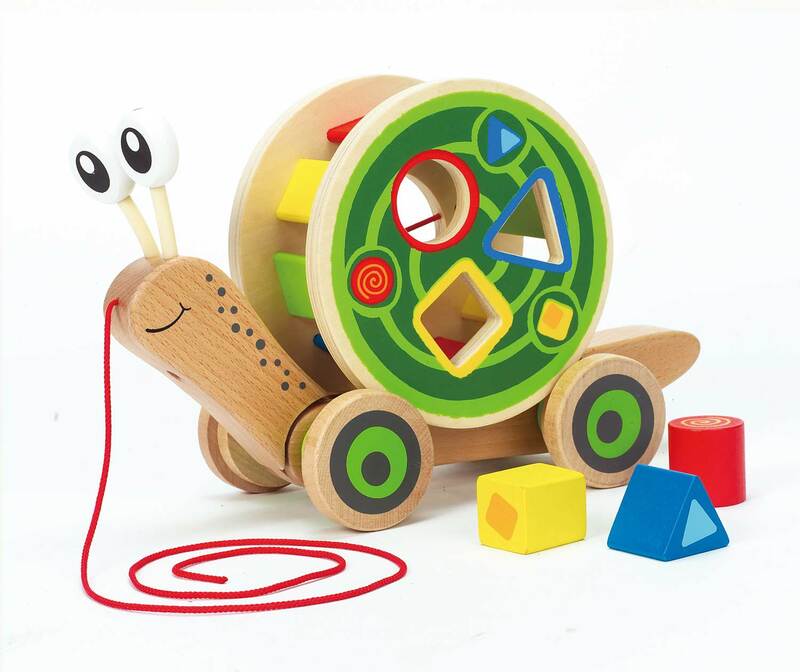 One side of the shell has three differently-shaped holes (triangular, circular, and square) for your youngster to practice shape sorting, while the other side has an elastic-banded opening to allow for easy removal of shape blocks from the snail's shell. 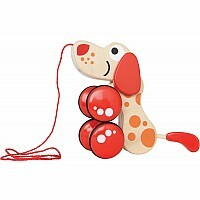 The shell is removable, ensuring functional fun while also preventing pinched fingers. 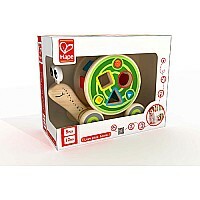 For ages twelve months and up. 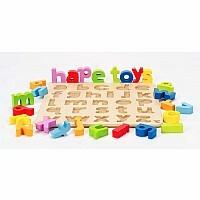 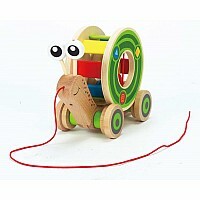 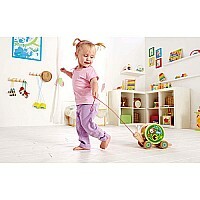 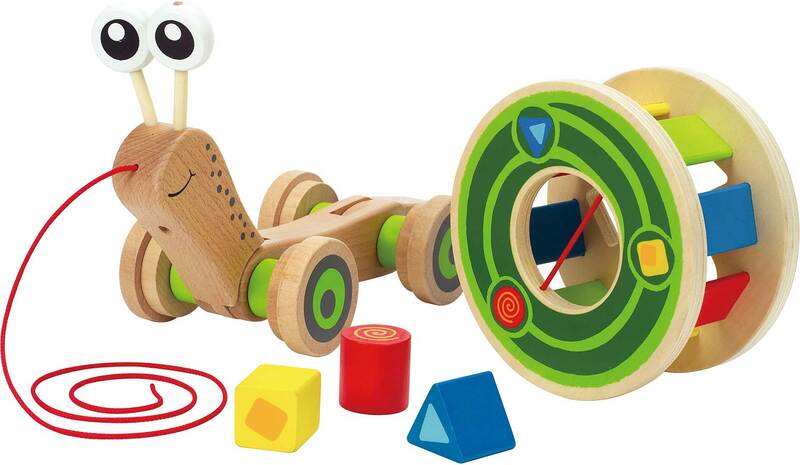 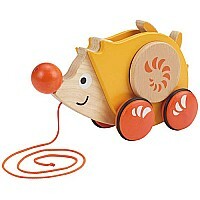 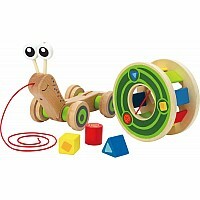 - Hape's Walk-A-Long Snail is a fun and friendly way to practice color recognition and shape sorting! 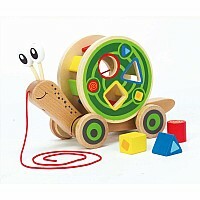 The shell holds three different blocks and can be removed from the body of the snail. 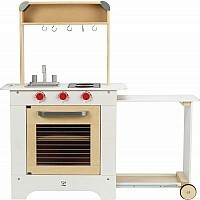 Measures approximately: 11.86 x 4.41 x 7.33 inches..